Treehouse Junior Space Saver with a Wood Roof into your small space, confident that it will not monopolize your space, but it will provide the stimulation your child needs to develop and play! 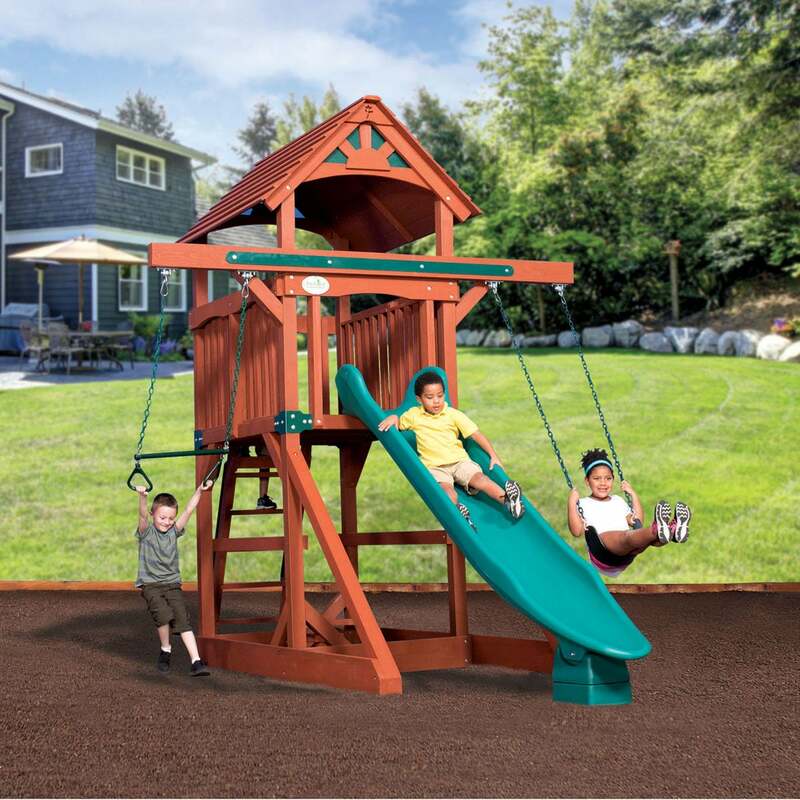 Swing Sets are available for delivery within 125 miles of any of our local retail store locations. Although we do not the sell the Backyard Adventures brand online, we display them on our website for informative purposes and would urge you to call or visit your local store for pricing, availability and delivery options. Family Leisure carries a wide variety of options and we welcome the opportunity to discuss which one might be the right one for you. Our knowledgeable sales professionals and fully staffed service department are available 7 days a week to answer any questions that you may have. We look forward to hearing from you and we invite you to visit one of our beautiful showrooms.